Find a nanny for the first time – Agency or Direct Hire ? Are you planning to hire a nanny or a domestic helper for the first time? There are a couple of options to do so. You can either select an agency which helps you to get in touch with professional helpers or you can hire a nanny directly. However, before you decide on your method of selection, you should be aware of the pros and cons of each of them. 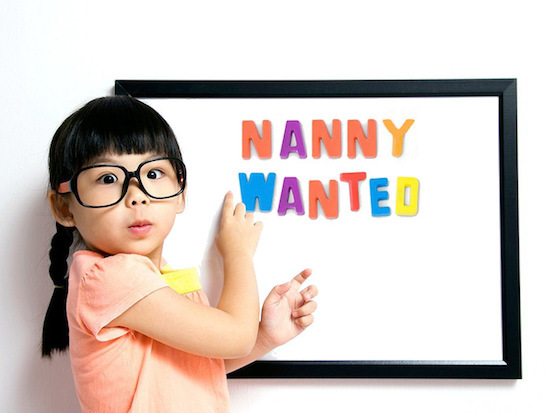 Here are a few points to consider while hiring a nanny for the first time. There are plenty of agencies because of the high demand. Listed below are the advantages and disadvantages of using this channel to hire a helper. The domestic helper agencies connect helpers with employers on a daily basis. They can help you to define your requirements specifically and match you with the domestic helper who meets your needs exactly. This can make your task of employing a helper very easy. Hiring a domestic helper entails a lot of attention to details. You need to check the records of the person you are hiring and find out get referrals to ensure that she is good at what she does. This can prove to be a very time consuming task and it is very likely that you can end up with a domestic helper who does not suit your requirements. The agency can help you to shortlist candidates whose records are in order and who can cater to your needs perfectly. Whether you choose to hire a local or foreign domestic helper, there is a lot of paperwork that goes into completing this procedure. The contract needs to be drawn up and regulations of the Immigration department need to be met in case of foreign helpers. You need to submit duplicate copies of the contract as well as multiple enclosures while submitting an application. As an employer, you need to meet the financial threshold and give proof of the same to ensure that you are capable of hiring and sponsoring a domestic helper. You also need to provide airline tickets, visa and insurance provisions. Such paperwork and legal formalities can be fraught with complexities. An agency can handle all these formalities for you and make the process much more streamlined and efficient. With so many agencies available for selection, you need to be careful while choosing your option. You need to trust the agency to help you hire a domestic helper by following the procedure. Following proper procedure is very important for hiring domestic helpers. If the agency that you select ignores certain regulations, you can fall into a lot of trouble, especially while hiring foreign helpers. Finding out the details and performance level of the agency is a good idea to ensure reliable service. It has been observed that a lot of helper hire agencies do not offer many candidates to choose from because helpers do not enroll their names with such agencies to avoid paying fees to them. It can happen that you may not find the right helper who suits your requirements through these agencies. The agencies charge the employers for providing this service and sometimes they charge also the helpers. These charges can be very high. Only if you are prepared to pay the charges should you go for this option. It is not necessary that an agency can help to make the process of hiring a domestic help very quick. The procedure involved is often long and time consuming. Hire through an agency is really helpful if you don’t want to handle all the paperwork process. Just be careful when you select your agency. 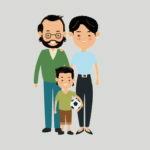 An Ethical agency will create more trust for you and your nanny. The number of options available in terms of helpers increases many times when you go for direct hire. You can meet the helper before hiring and in case of a foreign helper; you can chat online with her. This ensures that you get the best candidate for your requirements. You need not depend on the agency or be compelled to choose from the few options it provides. When the middle man, that is, the agency is removed, the cost goes down to a certain extent because neither you nor the helper has to provide anything to a third party to get in touch. You can follow the procedure of hiring step by step and get a domestic helper without spending a lot of money. When hiring directly, you need to first understand the whole process so that you do not make any mistakes. You should be prepared to invest a lot of time in finding and hiring a helper. 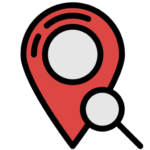 Locating, screening and selecting a helper is not the end of the story. You need to get in touch with the local or immigration authorities and get a contract drafted for submitting the application. If the application is approved, you need to arrange for medical insurance for the helper. Foreign helpers require visa and air tickets. This also needs to be looked into by you. Even though you get many more candidates when you hire directly, the screening process of each and every candidate needs to be carried out by you. This is another hassle and is a little risky because you are not as experienced as an agency and so can overlook certain vital details. The records, status of previous contracts, personal details of the helper and their demands, everything needs to be taken into consideration. You also need to check their qualifications and work experience. Some online platform will help you to find the right helper. Only after you finish the screening process can you select your candidate and go ahead with the process. This can take a long time. These are the pros and cons of both the methods of hiring a nanny. You should think carefully before choosing the method which suits you best while hiring a nanny for the first time.